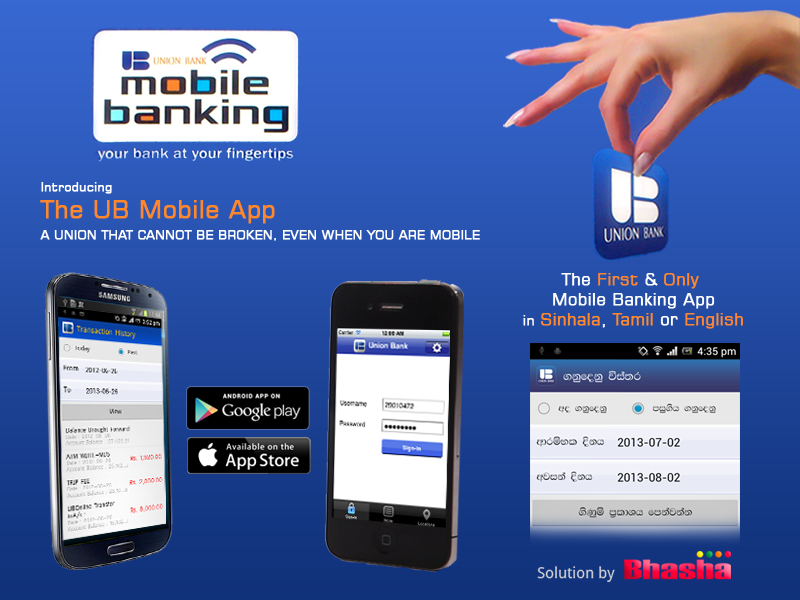 Union Bank of Colombo PLC announced the launch of its mobile banking app for Android and Apple platforms creating greater banking convenience for customers. According to Rajeev Munasinghe, Vice President – Information Technology, Union Bank, "This is yet another milestone in the Bank’s IT initiatives." Union Bank has been synonymous for its technologically driven product innovations. 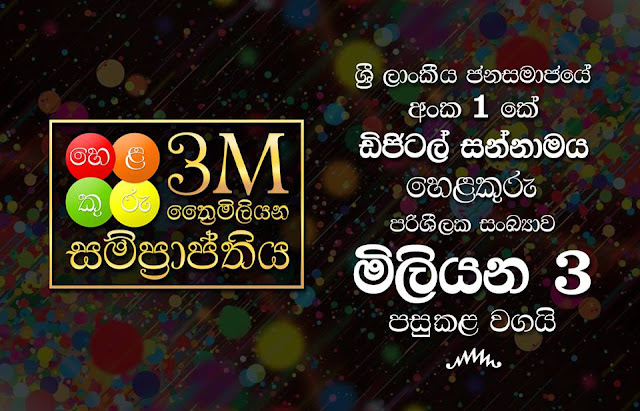 In 2012 Union Bank pioneered the launch of TV Banking creating a new dimension in banking in Sri Lanka. Munasinghe further stated that it is the only mobile banking app currently available in Sinhala, Tamil or English. The Union Bank mobile banking app can be downloaded free of charge. This facility provides convenient banking for Union Bank customers across the country and complements the Banks rapidly growing branch network. Bhasha Lanka (Pvt) Ltd, a leading local language Mobile App development company has provided the software solution for this initiative.